I came across an article written many years ago by my father. His writing reflects upon his age and entering into his retirement years. This posting features some excerpts from that article." and at the same time mentally scanning the years fled by. Retirement carried such a dread of uselessness. 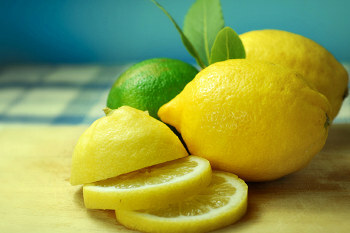 Filled with self-pity, I moved toward the refrigerator in search of a lemon. I found two—one I had recently purchased, the other, one I had long overlooked. The newer lemon was soft, smooth of skin with minute pores. Its color was as buttercups in full bloom. my muscles lithe and my hair abundant and yellow as corn silk! I affectionately termed this one my “Memory” lemon. hard knocks from butter cartons, hot sauce bottles and tomato juice cans. but were the remainder of my days to be spent “on ice”? I am not an inanimate juice container; I am alive and I want to be useful! I may be shriveling, but I won’t be scrapped! I reached for the kitchen knife with a sort of determined antagonism to those two lemons. that were relevant to my state and attitude. “Memory” bent easily to the blade. refreshing aroma as that of the yellow jasmine. Drops of its pale liquid ran through my fingers. It was busting with a mildly fragrant aroma, thoroughly lemon. I squeezed a few drops into my tea-cup. “Mirror” took the knife with resistance, uttering a crackling sound to the cut. “Memory” had only 1 pit, “Mirror” had 5. “Mirror” still had ample fluid and a subdued, mellow fragrance. Aging had subdued sharpness and bitterness. But there were two attributes in “Mirror” which were lacking in “Memory”. white “heart” from which radiated the “spokes” which housed the meat segments. “Memory” had the spokes and segments also but was lacking “heart”. The other notable distinction was that “Mirror” had ten segments while “Memory” had but nine. The tea-kettle whistled me to its handle. and slowly sipped the blend of the two offerings. and of the abundant provision for body and soul. Old age I have—and “Mirror” confronted me with reality. Though my skin is tougher, I am still usable. to be spent for others in service. without God working in that realm I am only a “lemon”.